Will Help You Solve Your IRS Problem! Struggling with IRS tax problems? When choosing an attorney to represent you for a tax problem, experience should be one of the main criteria you look for. At The Law Office of Michael K. Miller, P.A., our lead attorney received his education and apprenticeship at top-tier institutions. 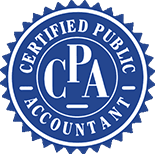 This was followed by his work as a CPA focused exclusively on tax situations and his years of service as an IRS Revenue Agent. This unique combination of education and experience has allowed Miller to successfully serve client needs for 25 years on a wide variety of tax situations. He thoroughly understands tax regulations and how they are enforced, and can utilize this knowledge to assist you. How can Attorney Miller best serve you? Trusts and estate tax returns, the use of statute of limitations, resolution of unfiled returns, correct application of innocent spouse relief and vigorous and proven management of IRS audits are all within the experience of the firm. If you need criminal tax defense, relief from a trust fund recovery penalty, tax liens and levies or a wage garnishment, our tax firm in Palm Beach, Florida is ready to help. When no appeal or other resolution is available, he is prepared to do battle in the form of tax and refund litigation on your behalf. No matter your tax needs, using a proven Palm Beach County tax lawyer can pay great dividends for you and your family or business. While working to find the most cost-effective solution possible, the firm operates on the principle that within the tax laws there is a positive resolution to any tax problem. It takes the understanding of a skilled attorney to fully review your tax situation, including all pertinent documents, and to use the law in order to formulate a strategy applicable to your case. When you need someone who understands the tax situation you are facing, you can count on Michael K. Miller to aggressively seek the best solution possible. Offering a completely FREE initial consultation, please do not hesitate to call (561) 693-3734. Our firm is available seven days a week and in the evenings. Find out how the law can be used to successfully resolve your tax problems by contacting a Palm Beach County tax attorney today. We serve the following areas: Boca Raton, Boynton Beach, Daytona Beach, Ft. Pierce, Melbourne, Palm Beach Gardens, Palm City, Port St. Lucie, Stuart, Naples and West Palm Beach. 1. We Have Been Successful With A Wide Variety of Tax Situations For Over 25 Years. 2. Our Lead Attorney, Michael K. Miller, Was Previously An IRS Revenue Agent. 3. We Are Open With Extended Weekday Hours & Weekends For Your Convenience. 4. Our Clients Will Receive The Most Cost-Effective Solution Possible.